A few years ago my wife and I went on vacation to Vermont and stayed at an old inn right around the block from King Arthur Flour’s headquarters which includes a store front. We had a great time and stocked up on a lot of baking supplies and including flour and also purchased a few loaves of bread made in the KAF kitchens. 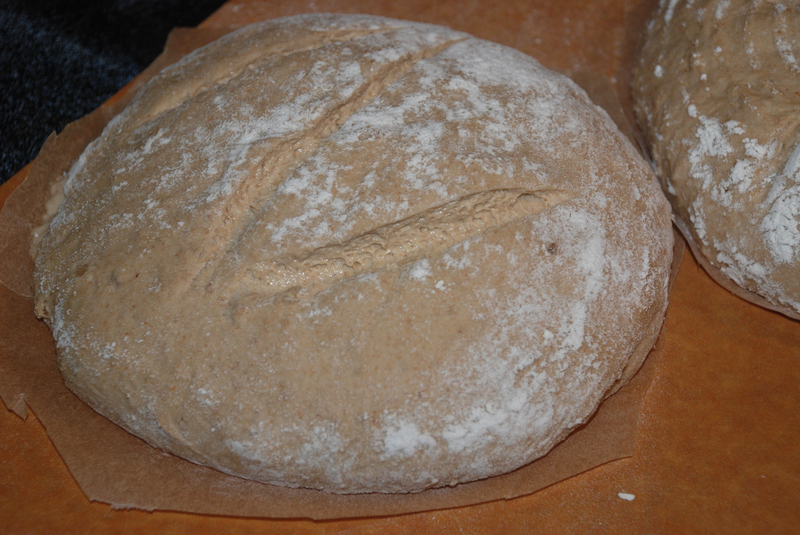 One of the loaves was a sour dough made with a beer or laguer. They did not supply the recipe so I have been trying to make my own version ever since. I can’t be sure if my version is as good, but I do know it tastes pretty good. I used a pretty heavy laguer in this recipe along with the rolled oats and a small amount of whole wheat flour which provides a very deep earthy flavor profile. I also added some roasted onions which were left over from the brisket I made the night before. I created this recipe using the standard techniques from Peter Reinhart’s “Artisan Bread Every Day. This is one of my favorite books and I love the flexibility his method allows while still building great flavor. The basic theory behind this book is that you can mix the dough in one day, let it sit in the fridge for 3-4 days while it develops its flavor during a nice long and cold fermentation and bake at your leisure. 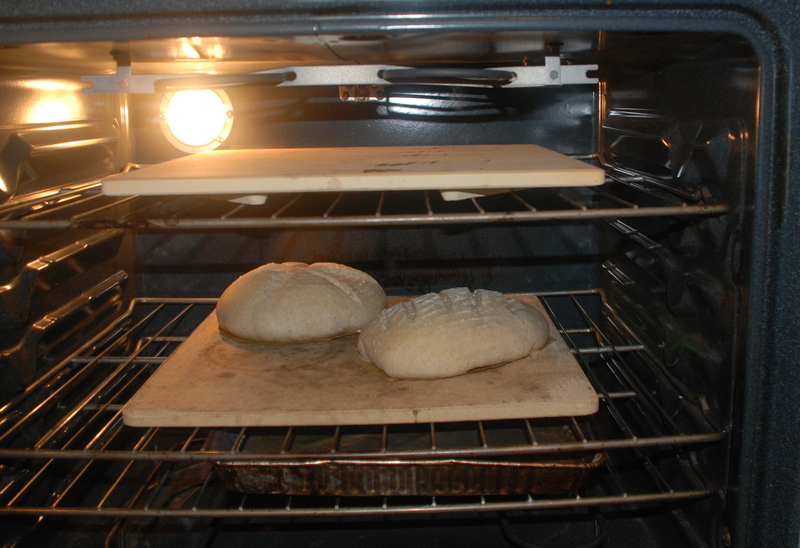 You have the option to use a small amount of yeast to lessen the preparation time, or no yeast relying on your starter. Using your stand mixer or by hand, mix the beer with the starter to break up the starter. Add the onions and mix for 4 minutes more on medium speed, adding more flour if necessary to produce a slightly sticky ball of dough. 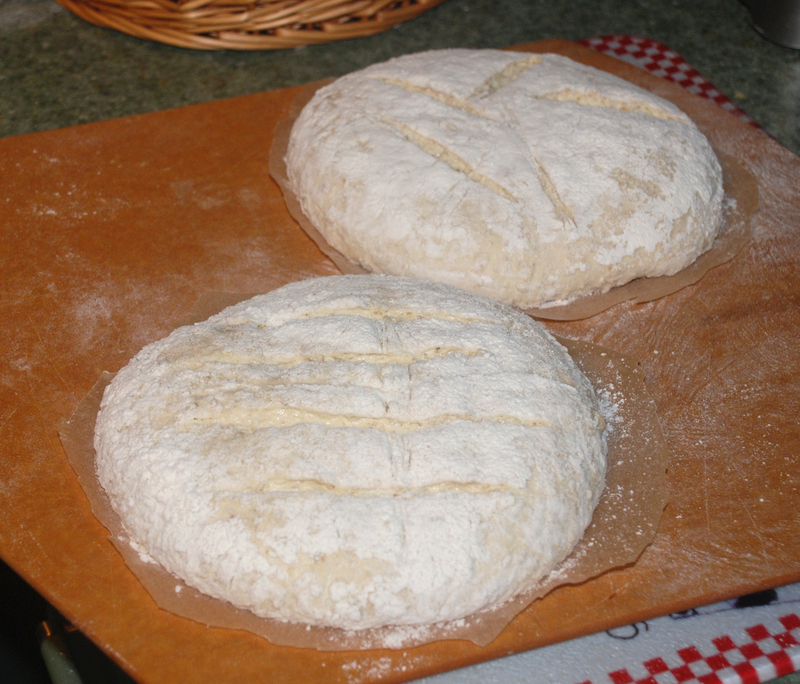 Remove dough to your lightly floured work surface and knead for 1 minute and form a ball. 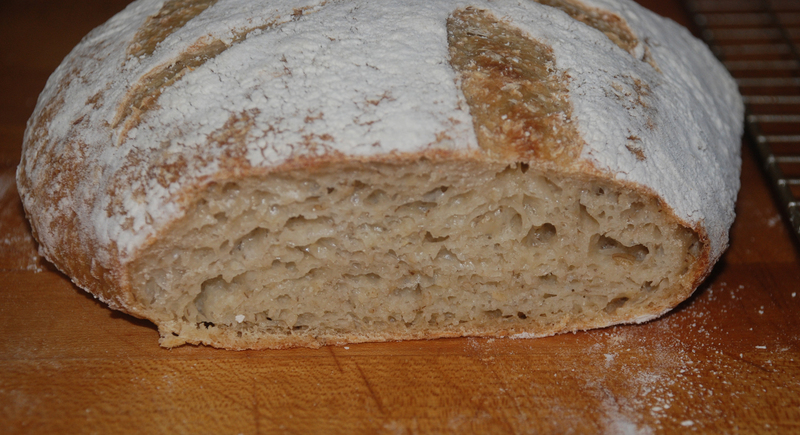 Please visit the Yeast Spotting Site here: http://www.wildyeastblog.com/category/yeastspotting/ for lots of cool recipes. 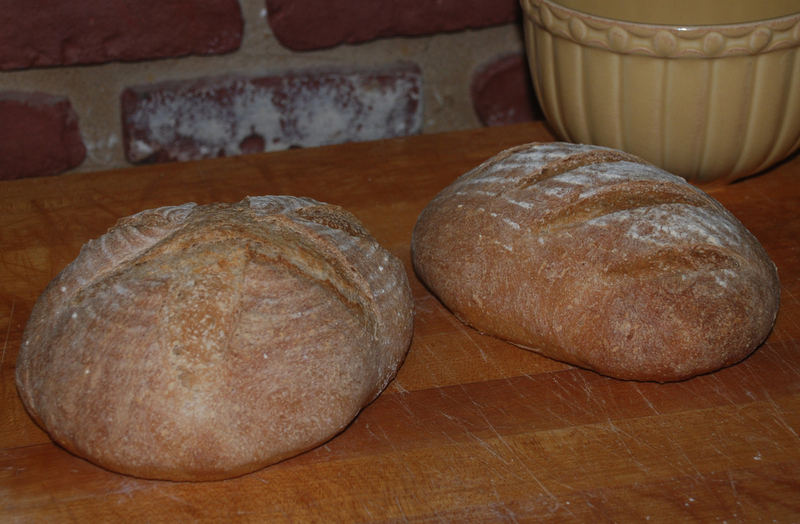 Also this post has been submitted to http://www.girlichef.com/p/byob-bake-your-own-bread.html, so please visit them for even more baking recipes. A few weeks ago i recieved my latest edition to my bread making library, Inside the Jewish Bakery, by Stanley Ginsberg and Norman Berg. I am always looking for a good authentic ryebread recipe and was itching to try some of the pumpernickle and ryebread recipes in the book. 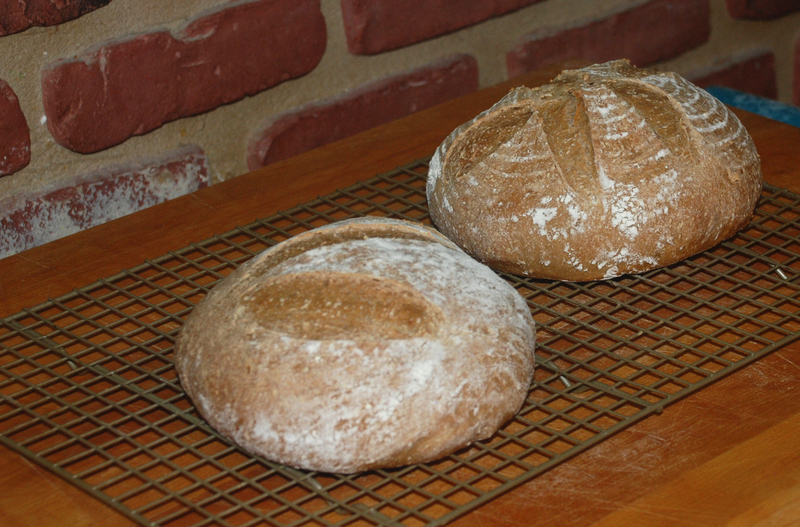 With that in mind I set out to convert my white flour sour dough starter to a rye starter. After acomplishing that in a couple of days time I started in on my first attempt at making the Old-School Jewish Deli Rye, but unfortunately for some inexplicable reason I skipped a step in making the sour so I couldn’t finish the recipe. Not one to let anything go to waste, I decided to use my mistake and create a hybrid Pan Aulevan bread. I simply combined 50% of my rye based starter (which was based on using 5 ounces. of my original rye sour, 9 ounces of white rye flour and 7 ounces of water) along with 50% of my 65% white flour starter. I also decided to use some First Clear flour which is used in many rye bread recipes along with some KAF European style flour and a small percentage of whole wheat flour. I really was not sure what the end result would bring, but it actually turned into a nice earthy flavored bread with a light rye flavor that makes a great deli sandwich. 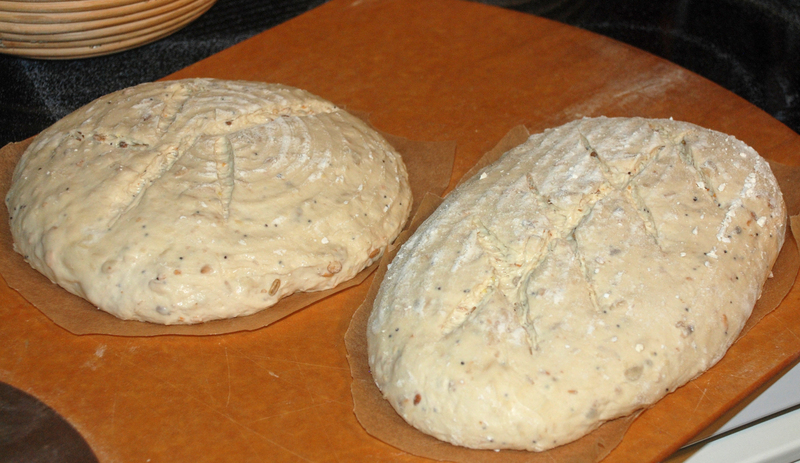 Like most of my recipes lately I have been following the convenient preparation instructions from Peter Reinhart’s Artisan Breads Every Day which involves minimal mixing, 2-3 folds and overnight retardation for up to 3 days. Repeat stretch and fold after another 10 minutes. When ready to bake the bread, shape the dough as desired being careful not to handle the dough too roughly so you don’t de-gas it. 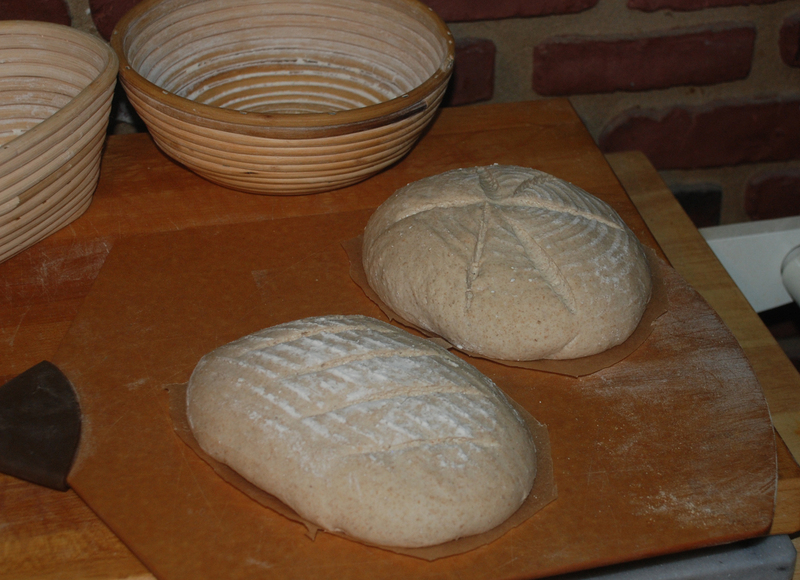 (If you did not use yeast, let it sit in your bowl for 2 hours before shaping). 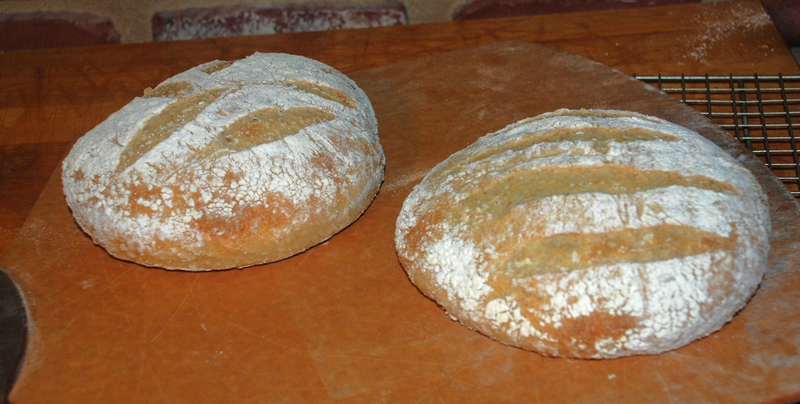 This recipe is adapted from Peter Reinhart’s The Bread Baker’s Apprentice. 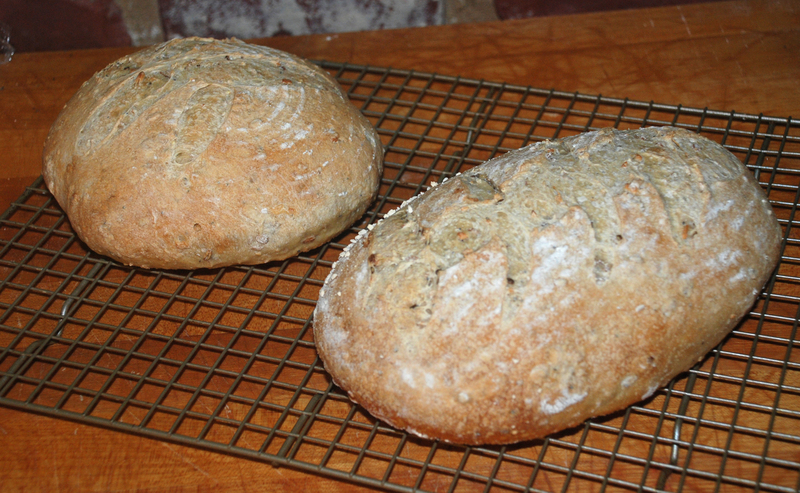 In his original recipe he used a bigga instead of a sourdough starter. I also used his new techniques from Artisan Breads Everyday which incorporate 3 short folds and overnight retardation of the dough before being formed. I decided to add some of my King Arthur Flour Harvest Grain Blend mix which includes whole oat berries, millet, rye flakes and wheat flakes, flax, poppy, sesame, and sunflower seeds. 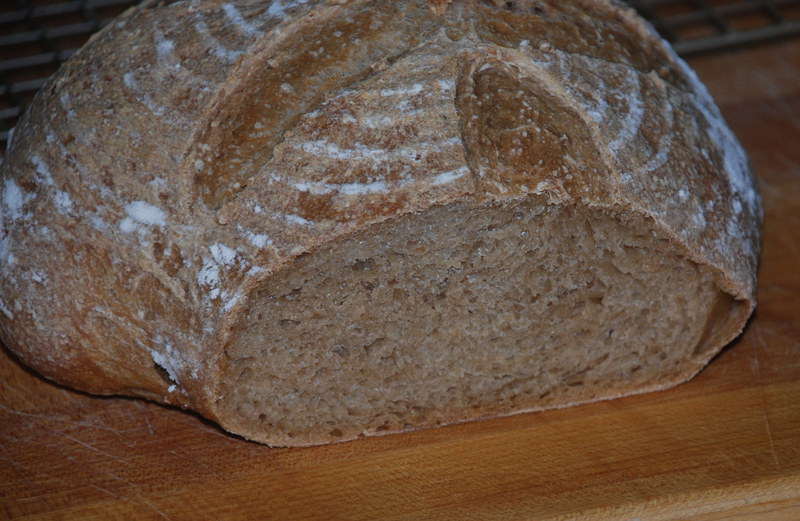 This added some nice crunch and makes the bread a bit more nutritional for the family. This bread makes excellent toast and sandwiches. 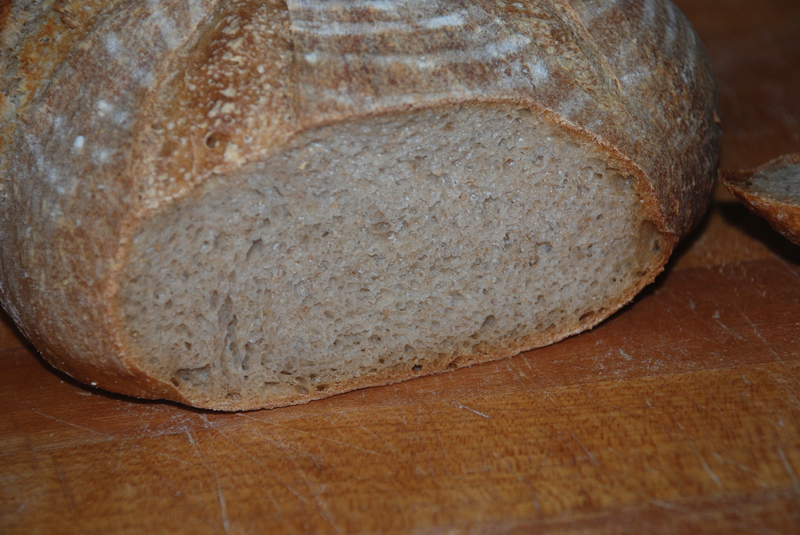 Please visit the Yeast Spotting Site here: http://www.wildyeastblog.com/category/yeastspotting/ for lots of cool recipes.